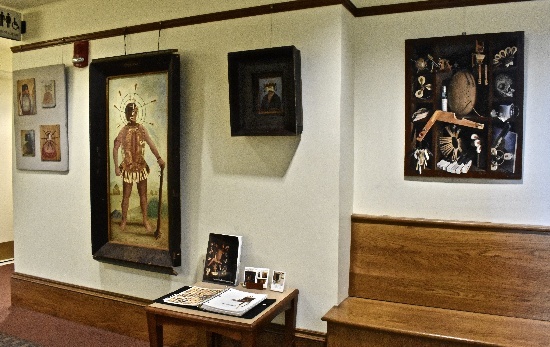 Holliston resident and artist Michael Frassinelli has created a mythological society/culture and in two past exhibits has presented several other aspects of the Pianista culture at the library. “For the past 15 years I have created sculptures, masks, and other objects made from old piano parts, which are attributed to a fictional civilization known as the Pianistas and represented as artifacts from this lost culture.The series is collectively known as The Legend of the Pianistas and the work is often displayed as a natural history museum exhibit, complete with text panels, glass cases, archival photographs, and a variety of other items. A fascinating exhibit from a culture that exists only in the imagination. A comprehensive and incredibly enthralling catalogue of the Pianista culture will be available for purchase. Come one, come all. An exhibit not to be missed. Ashland resident Arti Bhola Goulatia was born in India and grew up surrounded by rich culture, vibrant colors and diverse art & architecture. Influenced by this wealthy reservoir, her creative journey started with a foray into the world of fashion. She studied fashion design and worked extensively in the corporate world for over ten years. Her widespread experience in the apparel industry, particularly her sensitivity to the interplay of texture, design and pattern helped her transition into fine arts when she started working with clay. She has been creating beautiful works of art since then. Having traveled widely, she draws inspiration from different cultures and her background. Arti’s style reflects a unique fusion of her ethnic heritage, world travels, fashion and contemporary art. She is a nationally recognized artist. Her work has featured in numerous exhibitions, museums and is part of various private collections. There are four large paintings by Al Perry in the upstairs fireplace lounges. Bill Horseman has a group of his photos in the downstairs conference room. 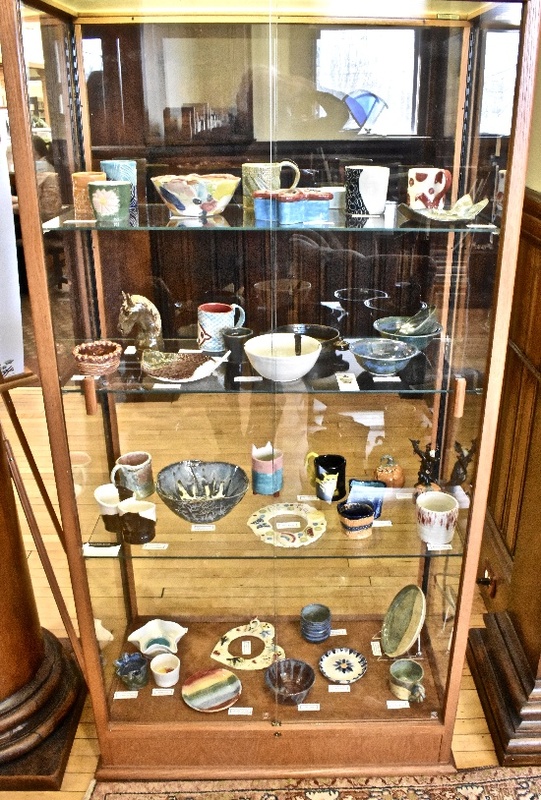 If you are a collector and would like to share your collection with the Library community by exhibiting all or part of it in the locked display case near the main circulation desk, please contact Larry DeJong at leftaris@gmail.com. Leave a short message and a way to contact you and he will follow up with you.